The magnificent mist-enshrouded cliffs of Table Mountain soar a full kilometre into the sky, forming a giant amphitheatre as for a recital of the Gods. This awe-inspiring setting is not the only fascinating feature of this cosmopolitan enclave snugly cradled on the far south western tip of the great African continent. The Mother City’s rich history, mild climate, cultural and political independence all combine to qualify Cape Town as one of the world’s truly great cities. Like many sub-Saharan African ports, Cape Town began as a strategic and economic colonial outpost. Ironically, the port was established on the strength of glowing reports of the bay that reached the opportunistic Dutch East India Company when one of their vessels, Haerlem, foundered there in 1647. The attractive, fertile land and largely cooperative, if naive, indigenous so-called "Hottentots" enabled a refreshment station to be set up in the 1650s to service the many ships plying the trade routes between Amsterdam and Southeast Asia. As a direct result of its location, function and traffic, a startlingly diverse population gradually evolved, incorporating examples of the many European, Asian and African cultures that continually traversed the busy harbour. Despite South Africa’s turbulent history, Kaapstad (as it was originally named) has maintained a relatively stable and racially harmonious constituency. The largely liberal inhabitants kept themselves at an arm’s length from the turmoil and bitterness that swept much of the rest of the province over the centuries, even if it meant fighting it off at times. The Afrikaner independence movement was born out of the wider Cape Colony in 1837. When the mainly farming and God-fearing, Dutch-descended Boers became disgruntled with liberal British rule, these pioneers (or Voortrekkers) pushed off to the uncharted innards of the Transvaal in an act now known as "The Great Trek" to set up their own republics. The famous statesman and entrepreneur, Cecil Rhodes, who formed the scholarship that bears his name, was Prime Minister of the Cape Colony from 1890-96 and died there amid scandal in 1901. With the growing prosperity of Johannesburg and the gold fields, Cape Town gradually fell away as the dominant city of South Africa, but returned briefly to international prominence when Nelson Mandela made his first public speech after release from Robben Island in 1990 from the balcony of the city hall to a crowd of many thousands. Tourism has certainly become one of the city’s great strengths, drawing nearly one million visitors per year from around the globe and garnering numerous awards. With a head-spinning assortment of activities ranging from the grueling Cape Argus Cycle Classic, a world class aquarium, Ratanga Junction Theme Park, Cape Town Stadium (built for the 2010 FIFA World Cup), motor racing at Killarney, water sports of all kinds and others like horse-riding, hiking, flying and off-road driving. From the familiar sound of the mosque calling worshippers to prayer, to the fascinating stories of people through time, Cape Town offers Muslim travelers a satisfying adventure on many levels. The Bo-Kaap Museum occupies an original house that dates back to 1768 and is one of the best places to discover the history of the Bo-Kaap area. The District Six Museum revives the history and stories of a vibrant community that was forcibly removed to the city’s periphery during apartheid. The Heritage Museum in Simon’s Town displays various artefacts pertaining to the Muslim culture and history of the area. The Auwal Mosque was built at the turn of the 18th century. It is the first and oldest mosque built in South Africa. The Palm Tree Mosque is the second oldest mosque in South Africa. Cape Town also has dedicated Muslim tour guides and information for Muslim visitors like halal eateries and how to visit the more than twenty recognised Kramats in the Peninsula area. 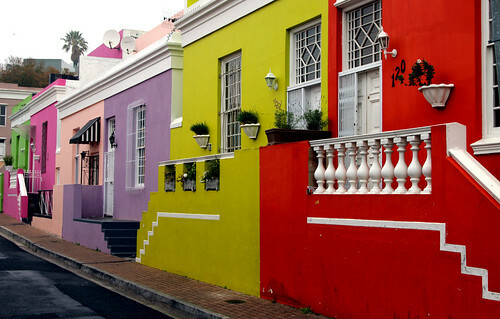 Known for its brightly coloured houses and situated at the foot of Signal Hill, Bo-Kaap is the spiritual home of the Cape’s Muslim community. Cape Point is a spectacular, narrow finger of land, covered in endemic fynbos and home to picturesque bays, beaches, rolling green hills and valleys. Kirstenbosch is South Africa’s world-famous national botanical garden, set against the backdrop of Table Mountain and Devil’s Peak, and home to over 22 000 indigenous plants. Thousands of people across the world voted and on November 11, 2011, Table Mountain was named among the New7Wonders of Nature. You can get to the top of Cape Town’s most famous icon in just five minutes by taking a cable car, or spend the better part of your day hiking up. With more than 3000 marine creatures on view – including sharks, turtles and penguins – the Two Oceans Aquarium is one of the finest aquariums in the world. Once “home” to some of South Africa’s most famous political prisoners, including Nelson Mandela, Robben Island is one of the country’s most visited tourist attractions, and rightly so. The Castle of Good Hope – the oldest building in South Africa – was once a fort, but today functions as a showcase of the Cape’s early days. There are few places in the world where you can get this close to a breeding colony of penguins, swim close to them in the sea and enjoy their private sandy beach. The V&A Waterfront is South Africa’s most visited destination, attracting millions of visitors every year – and for good reason, given the location’s combination of shops, restaurants, nightspots, tourist attractions and museums in the city’s historic harbour. This pretty coastal town is South Africa’s main naval base and consists of lovely Victorian buildings, quaint streets and walkways and a fascinating history. Situated at the foot of Table Mountain, within a stone's throw from the Cape Town Stadium and in the heart of Cape Town's working harbour, the V&A Waterfront offers the visitor an abundance of unforgettable experiences. Indoor shopping and entertainment venues merge with ocean vistas and mountain views to zest to a cosmopolitan, vibrant atmosphere. More than 80 varied restaurants plus brands like Alfred Dunhill, Boss, Chopard, Gucci and Louis Vuitton. Exclusive boat charter operator in the V&A Waterfront. Adrenalin-packed tours include shark-cage viewing and diving, deep-sea fishing excursions, ocean sailing and high-speed ocean adventures. Cape Charters also offers scenic harbour tours, water taxi services, inshore fishing charters, luxury cruises, Big Five safaris, and Cape Peninsula tours. Set in the mountains that made Cape Town famous. A wide range of treatments, including those inspired by the region’s indigenous fynbos, and a Rasul chamber (in which you’ll receive mud treatments) make the spa a popular choice for visitors. A commitment to wellbeing focuses on holistic principles, combining ancient wisdom with modern expertise. On the Victoria & Alfred Waterfront, overlooking Table Mountain, Cape Town's premier urban chic resort unites contemporary glamour, authentic local character and superior hospitality with cuisine from gastronomic legend Nobu Matsuhisa and one of South Africa's most celebrated native talents, Reuben Riffel. A member of the Leading Hotels of the World, the Table Bay Hotel is set on the historic Victoria & Alfred Waterfront, close to Sea Point, Newlands, Green Point and the City Centre. This luxury 5-star hotel was created, not only as a tribute to the world-famous bay, but also to set its own standards in international service, cuisine and luxury. 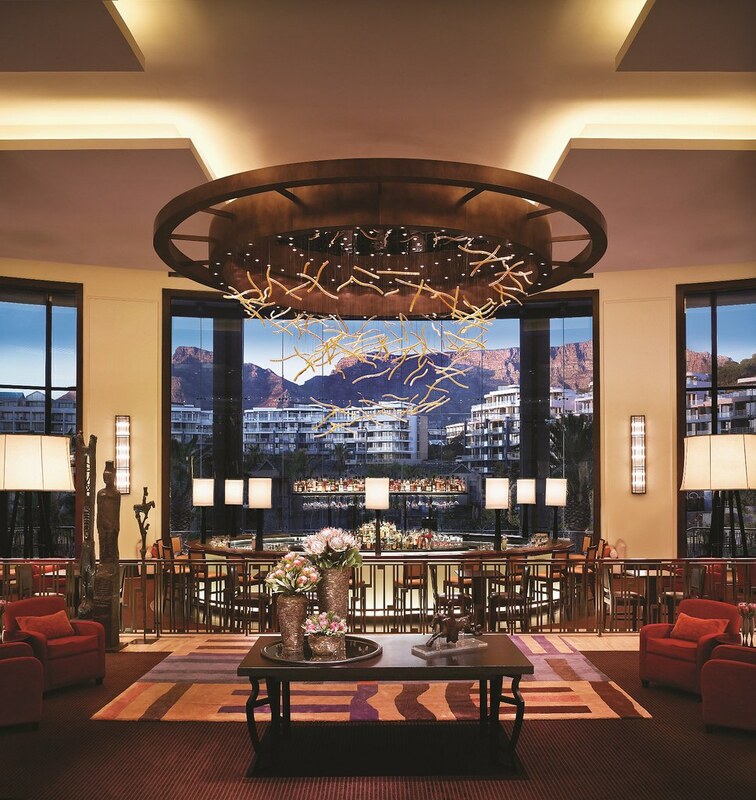 A luxury hotel set in the heart of Cape Town, offering guests a combination of refined Indian hospitality and an authentic Cape Town experience. Occupying two historic buildings, it retains the architecture and many restored interior features of the original South African Reserve Bank and the old BoE building – formerly the Temple Chambers, built in 1890. This newly refashioned luxury hotel delivers all the creature comforts you'd expect from world class luxury accommodation and lots of little extras too. Situated in the centre of Cape Town's famous Victoria & Alfred Waterfront, with its very own private quay - Cape Town's most popular shopping and tourist attractions are all easily within reach.